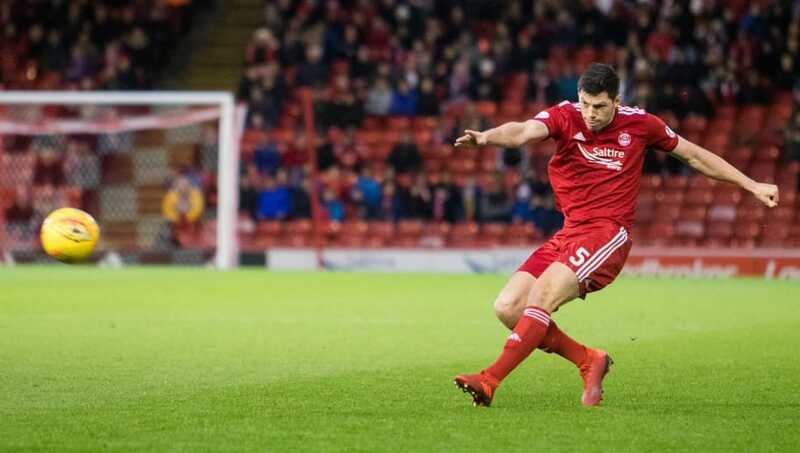 Reports suggest that Aberdeen have accepted a £7m bid from Stoke City for ​Scottish international Scott McKenna. McKenna has been a regular fixture in Aberdeen's line-up this season, resulting in Stoke City making an effort to sign the player before the transfer deadline. The 22-year-old has impressed in the Scottish Premiership, breaking into Scotland's national team last year and going on to make eight appearances for his country. It has been reported by ​Football Insider that McKenna was the subject of an opening £5m bid from ​Stoke that Aberdeen turned down. Stoke returned with a £7m bid that has now been accepted, allowing the player to begin talks with the English ​Championship side. The Scot has started every SPFL game in which he has been available this season, and Celtic and ​Aston Villa both apparently made attempts to sign the player as a result of his impressive form. Aston Villa manager Dean Smith will be looking to bolster his squad in his first transfer window at the club as they sit in 10th place in the Championship. They are just four points away from the play-off positions, but defensive reinforcements may be something Smith has identified. Villa have conceded the third most goals in the Championship with 46, only better than 21st placed ​Rot​herham and ​Ipswich who sit rock bottom.